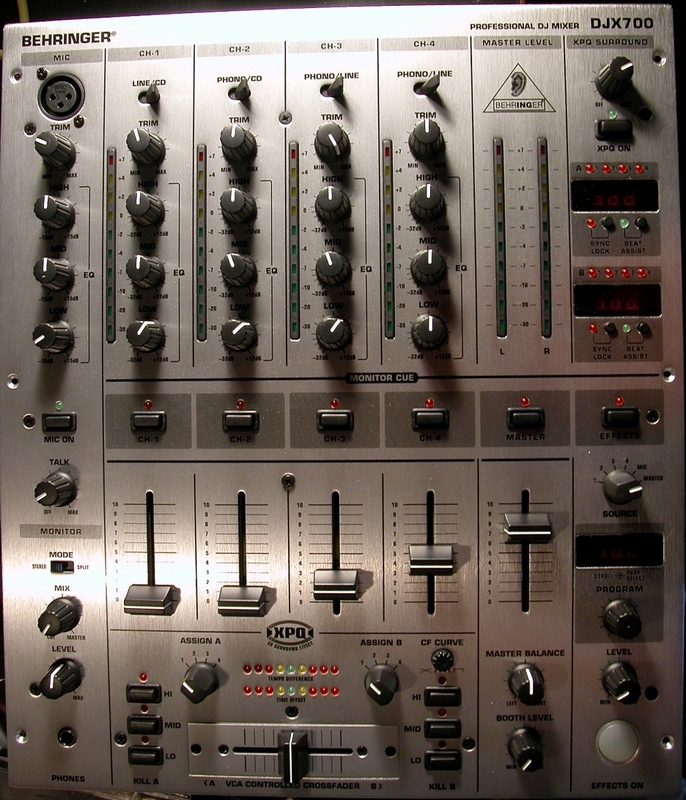 I’ve used to be a DJ and worked with a Pioneer DJM-500 mixer for a number of years. However, I was irritated by the fact it didn’t have a mic-switch nor an automatic talk-over fader. Not a very good picture, sorry. An auto-fader for the mic. Switchable inputs that have far more flexibility than the Pioneer. 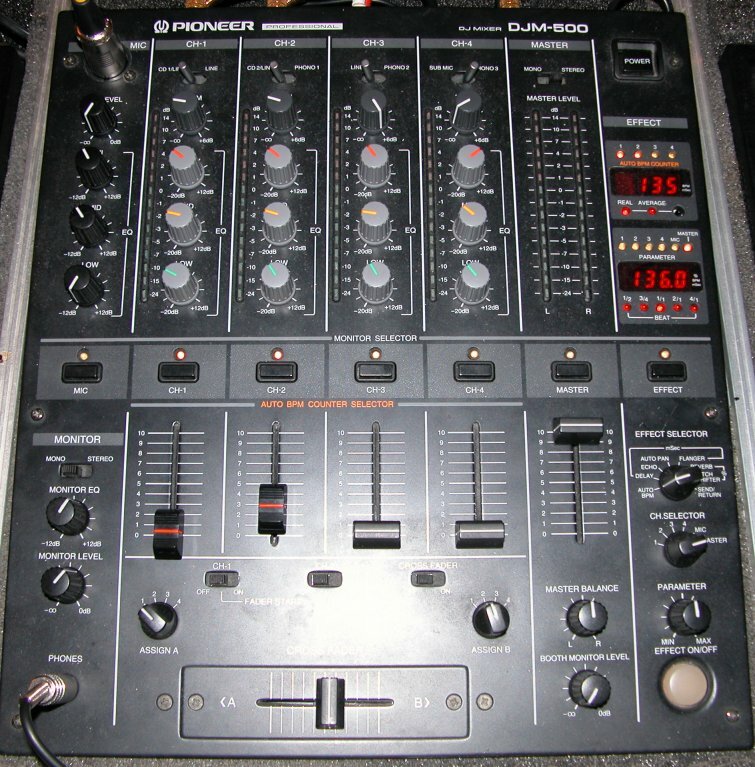 The Pioneer DJM-500 was a superb mixer. But, it’s lack of mic switch was bugging me. Also, my late missus, http://www.karenfrost.com/, sings and we share PA when we’re at gigs together. 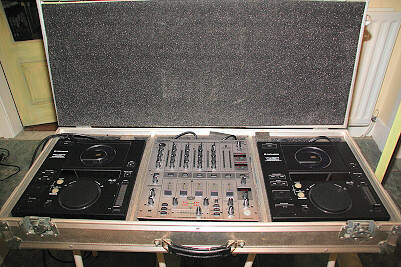 The Pioneer did not have enough inputs to the mixer to allow me my 2 CD decks, my PC decks [http://www.otsdj.com/] and her PA to work all together. I parted with my money and received a brand-new Behringer DJX-700. I put it into operation at my very next gig…..
I’ve heard a lot about people slagging off the Behringer and compared to the Pioneer, it just hasn’t got the build quality you’d expect from German equipment. The fader sliders are super slippy. There is no feel with them, it takes a lot of effort to position them at the correct place otherwise your fades are all over the place with respect to the volume. The mic input is horrible. It’s because the adjustment range goes from not-quiet-enough to very very loud. This is very noticeable when you use PC based inputs because the signal level is lower than the rest of your kit, therefore you need to keep the Master Level almost at maximum to compensate. However, this also directly effects the mic input cause loud shrieks of feedback once you switch the mic on, even with the mic gain turned to minimum. Well, if you’re not happy with something you have to do something about it! Time to strip the Behringer apart and change the mic gain. 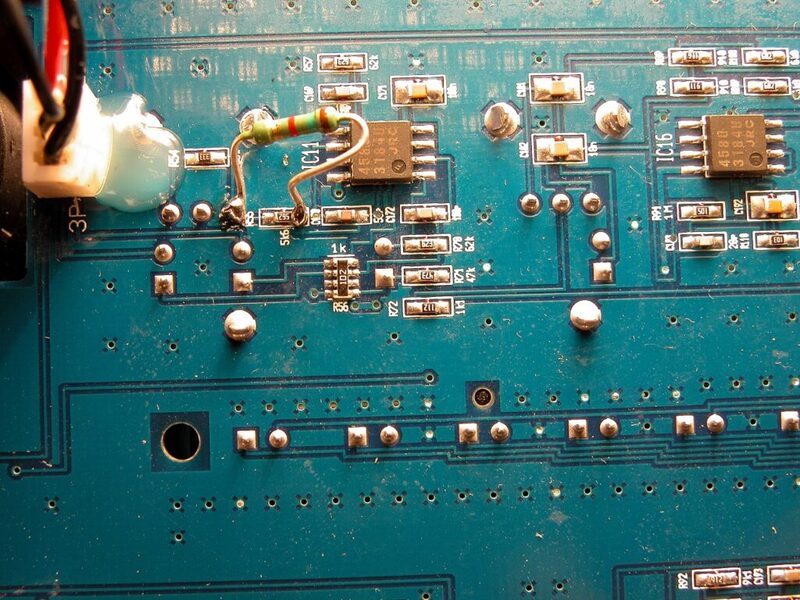 It’s difficult to see here but the 3 blobs below R54 are part of the mic gain potentiometer. The gain circuit actually alters the negative feedback to IC11 which is the input op-amp. What we need to do is to reduce the minimum gain. 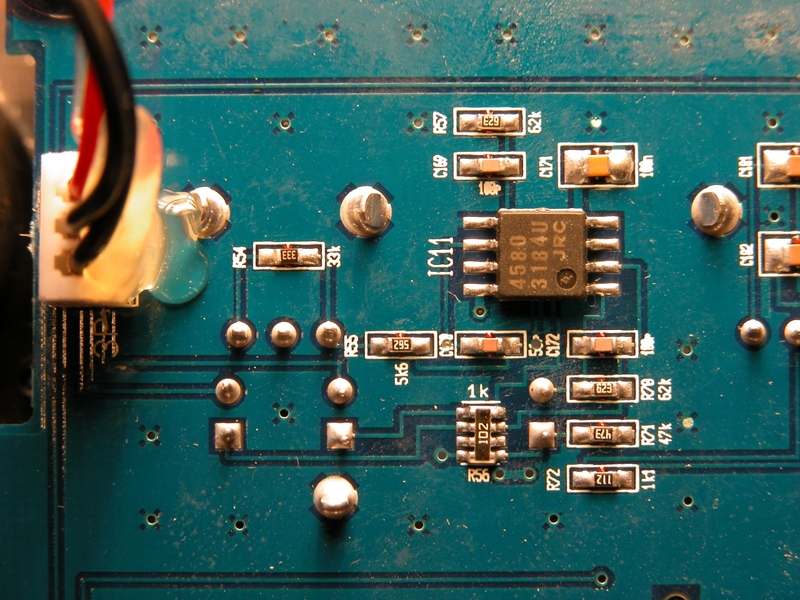 SMDs are always difficult to solder onto, hence I have used one pole from the mic gain potentiometer for the first connection. Once done, this holds the resistor in place enabling you to solder the other end onto R55. Be careful because it’s very small! Does it work? OF COURSE IT DOES!!! I’m going to have to think about this one. I think that maybe a car wiper blade stuck underneath the top plate so that the sliders have to rub against it.